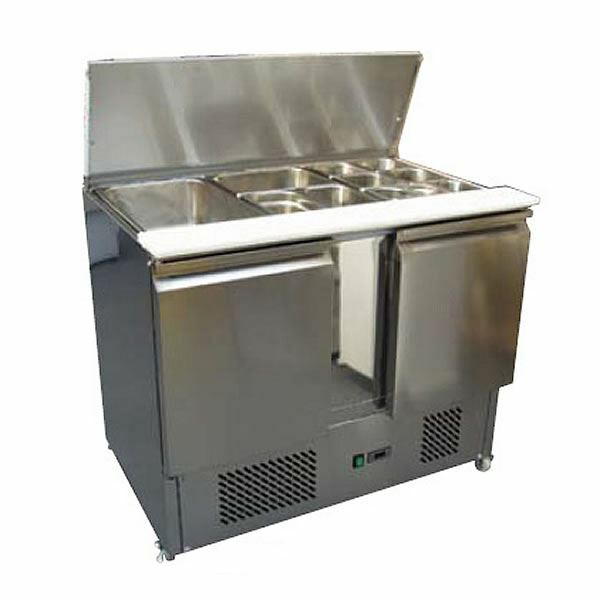 The Artikcold S902 Compact Prep Counter has a generous gastronorm pan capacity (able to fit 3 x 1/1 GN pans) which is ideal for the preparation, storage and service of pizzas, salads and sandwiches. Along with the large capacity this unit comes with castors fitted as standard and a rear polythene work surface which can double up as a chopping board too. This Artikcold 1/1 Gastronorm Compact Preparation Counter is the ideal prep top for pizza or sandiwch preparation and service with its robust stainless steel finish and rear polythene work surface.